Assuming the serial number is 949 4420, that would mean your 800 was made in the 49th week of 1979, making it a very early model indeed (and one of the oldest on the serial number list linked above). The CTIA and IC dates would seem to confirm the manufacture date. Nice find! Are these of any interest for ROM dumps? 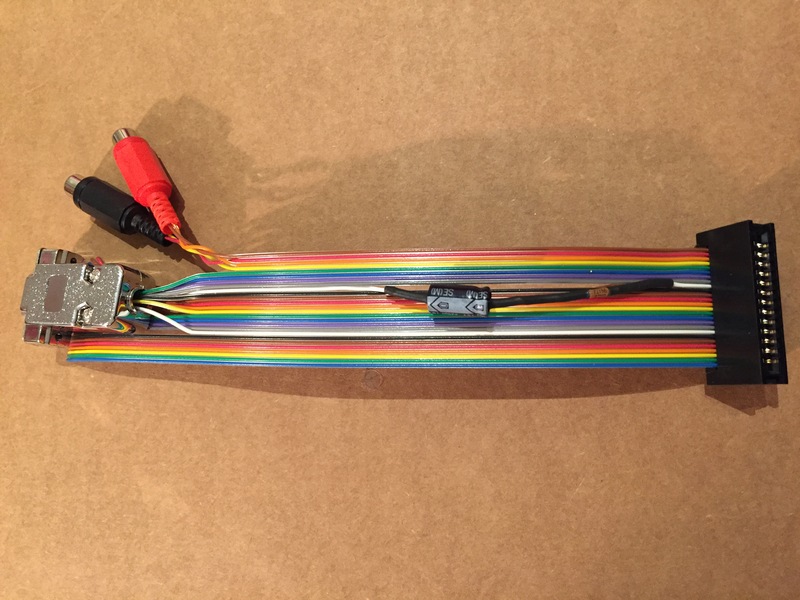 #4173874 Jaguar RGB cable—any difference between different video ground pins? Thanks for the input Zerosquare! I ended up using 3B for sync ground and the other three grounds for the RGB returns. The result is night and day compared to the RF out. Nice, clear picture. I have the output connected to a DVDO iScan HD and from there to my LCD TV. Next I will have to try making an S-video and composite cable. 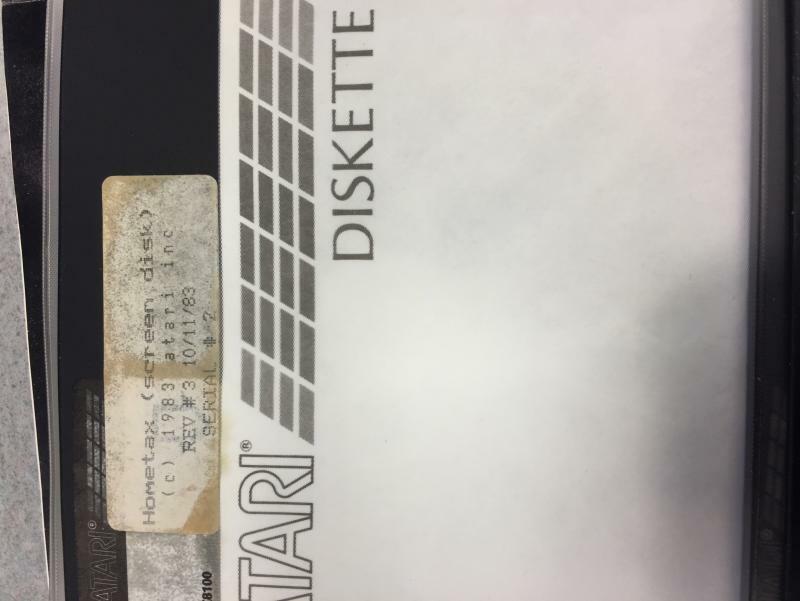 I finally got a chance to try again with the internal Atari Tax demo disks I found some time ago. With help from bob1200xl and a borrowed 800, I was able to get the disk to boot and we analyzed it. Looks like they moved the VTOC—there are a bunch of bad sectors where it should have been. 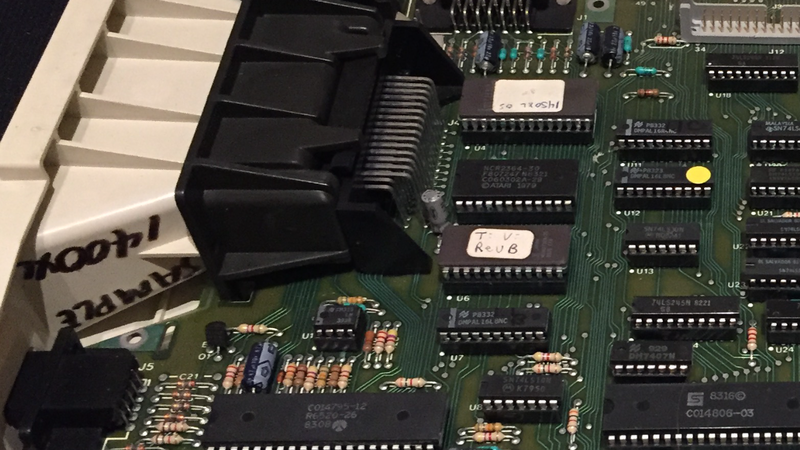 Getting my 1400XL working and listening to the voice output of the Votrax SC-01 speech synthesizer reminded me of a much earlier experience I had with that chip, involving a project my dad worked on in the early 1980s. My dad was the administrator for the Department of Zoology at the University of Wisconsin. One of my earliest memories of using a computer was when he would take me to his office and let me play with his Apple II Plus computer. He didnt have any games on it, but he would load up the text to speech software for the Sweet Talker voice synthesizer card installed in the computer and I would have a great time typing things for the computer to say in its funny robotic voice. I especially got a kick out of typing in gibberish and listening to the computer try to pronounce something like 20 Rs in a row. Why did my dad have an Apple II Plus with a speech synthesizer? It served a very useful purpose. The professors and graduate students at the Department of Zoology often ran experiments involving samples that needed to be kept cold. If the refrigeration for one of the 23 cold rooms maintained by the department failed over the weekend, much hard work would be lost. This happened enough that my dad started trying to think of a solution. 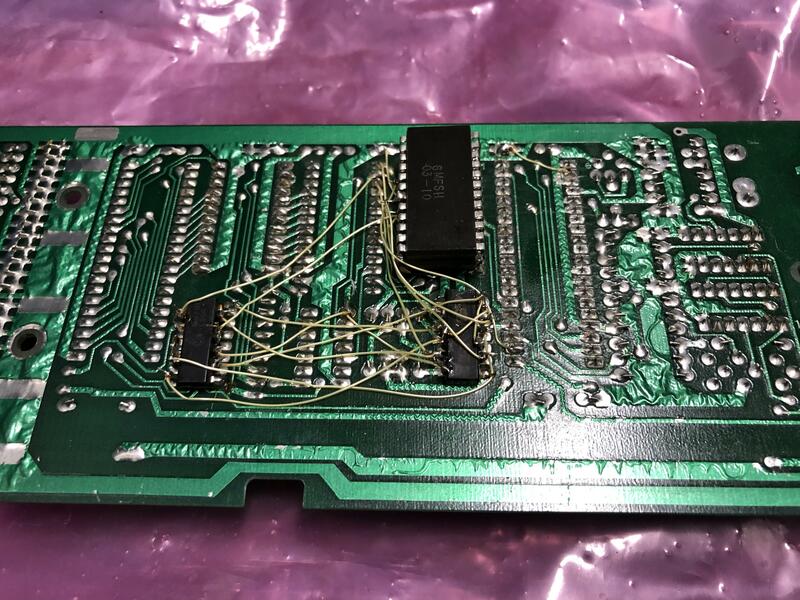 He bought an Apple II Plus computer and had twisted pair wiring installed from his office to temperature sensors in each of the cold rooms. Enlisting the help of a friend who had programming experience, he wrote a monitoring program to continuously display temperatures for the different cold rooms. When the temperature was out of spec, the screen line for that room would flash in inverse. Now, my dad could monitor all the cold rooms from his office, and over the weekend he could stop by and quickly check to make sure everything was ok. However, my dad started wondering if there was a way he could ensure everything was working without having to go in to the office. If only there was some way to check from home! 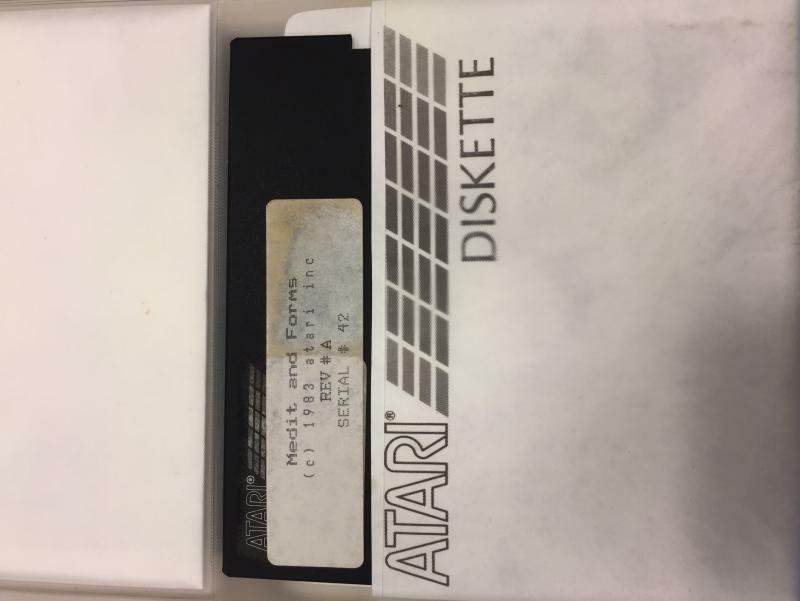 We didnt yet have our Atari computer, so we couldnt dial in with a modem to download the data remotely. However, we did have a telephone. Enter the voice synthesizer. With the Sweet Talker and an AppleCat modem, my dad and his friend programmed the computer to literally call home any time there was a problem. I remember picking up the phone and hearing the strange robotic voice announce, There is a freezer alarm in room one-ten. Now the weekend trips to the office to check cold room temperatures were a thing of the past. Im guessing all the hardware required to build this setup cost thousands of dollars. I cant help thinking that if the 1400XL had made it to production, it would have been the perfect solution for this application, and at a much lower price. Maybe Ill see if I can get my 1400XL to make some of those robotic phone calls I remember so fondly. Thanks Nezgar for the help in converting to standard ROM files and the info from Jac!s page. Interesting that the ROM checker says its a production ROM, I would have assumed the OS is different from the 800XL because when you cold boot the 1400XL into the self test, it talks to you! Does this mean I could swap in the OS from one of my 800XLs and it would have the same result? I saw an ad in Craigslist for a garage sale that just mentioned Atari stuff. When I showed up, there were some Atari 8-bits and STs on a bench on the side of the garage. The seller told me he was moving and had been a huge Atari collector in the 80s and 90s, but hadnt really used any of it in years. He was going to have several sales to get rid of everything but hadnt yet dug out the bulk of his collection. I made him an offer on a Percom drive and after we talked some more, he said, you know, I have an Atari prototype computer that was never released. Are you interested? Well, of course I was! He invited me to return to his next sale and said hed have to find it before then. I watched Craigslist like a hawk and went back to his next sale. Sure enough, he brought out a roughly 1200XL sized package wrapped in a large anti-static bag. When we unwrapped it I was staring at a 1400XL with a smooth plastic prototype case and missing name badge. 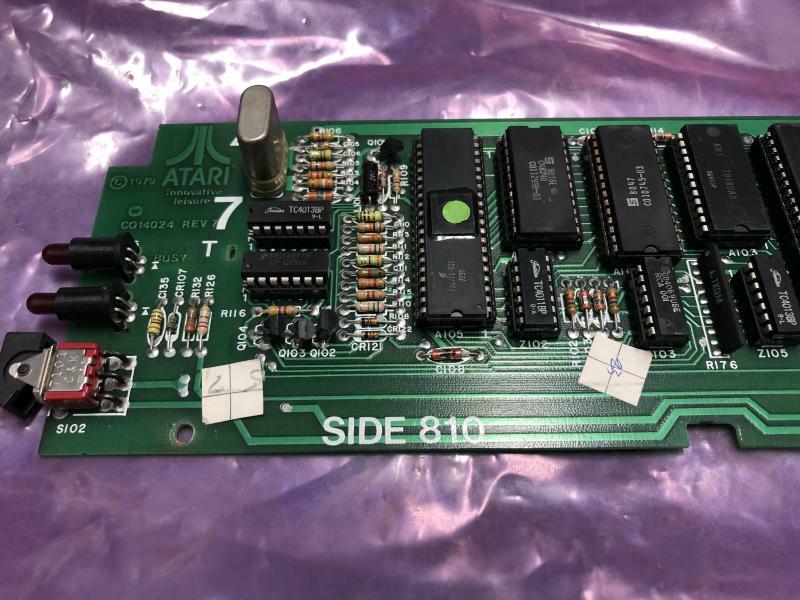 The seller told me he got it from a former Atari employee who advertised it in the newspaper classifieds sometime in the late 80s or early 90s. He also told me the original owner said it needed some work. I dont know if he ever tried to turn it on. 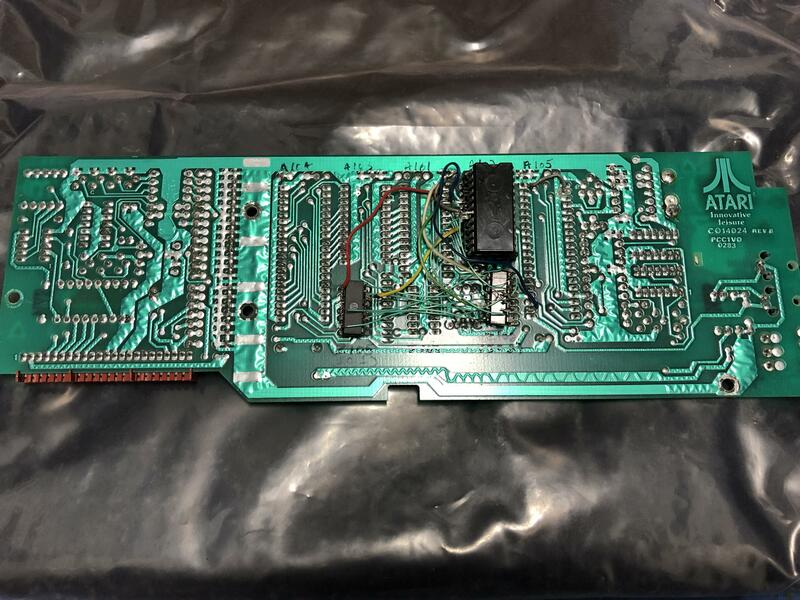 After I made a cable to supply the correct power inputs from a PC power supply, the only thing I had to do to get it working was reseat the chips and replace the 1200XL keyboard Mylar. The seller ended up having several sales after that and eventually sold off rooms full of Atari stuff. I ended up getting some early serial number 1200XL and 600XL plastics, a bag of random ICs including several CTIA chips, an Atari Service banner, and the mysterious Video Chess cartridge I posted about earlier, among other things. I still havent gone through everything, including the piles of magazines and newsletters he gave me. Thanks to bob1200xl, I finally have dumps of the OS and handler ROMs from the 1400XL I found at a garage sale. I'm attaching a copy of the atr, which has the OS (OSLOW.OBJ and OSHI.OBJ) and the handlers (DRVR.OBJ). I haven't had a chance to compare these ROMs with existing dumps from other machines (e.g. here), but maybe someone else wants to take a first look. #4026859 Save game screen image to reload on real computer? Problem solved? When I originally noticed the issue with colors being off, I was using a 400 connected via the RF output. Yesterday, I hooked up an 800XL via the composite video input on the TV. I fired up Journey to the Planets and found the Space Invaders level. When I got to the screen with the cannon, it was perfectly visible! So, chalk this one up to the difference between RF and composite, I guess. I wonder how many Atari computer users who only had a TV with RF input never realized how much better the picture quality could be? On further inspection, I noticed that the heat resistant strip that presses the paper against the print head is covered with some plastic tape that has started to peel off. It's this tape that is catching on the paper and causing it to wrinkle, which is causing the print head to jam. Unfortunately, it looks like the print head was damaged when it jammed and some of the pins aren't working now. 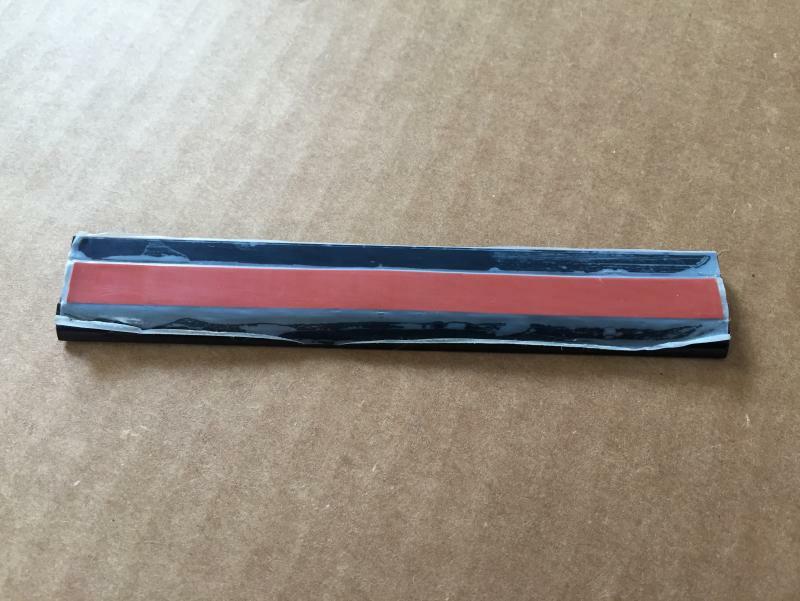 So: does anyone know what kind of tape was used to attach the heat resistant strip to the platen? Or, what kind of tape is heat resistant and would work in this application? #3979857 How do I check the Weather on my Atari? The September 1986 issue of Antic also had that Wefax program for the A8 and ST written by Charles Jackson. It did, if I recall, also detail strategies for acquiring frequencies and images directly from satellite. Perhaps it’s worth taking a look? My dad and I built the circuit described in that Antic issue. We were all ready to go, but then we got stuck because we didn't have a radio that could receive SSB. I think I still have the circuit somewhere, and now I do have a nice shortwave radio. I wonder if these signals are still being transmitted? 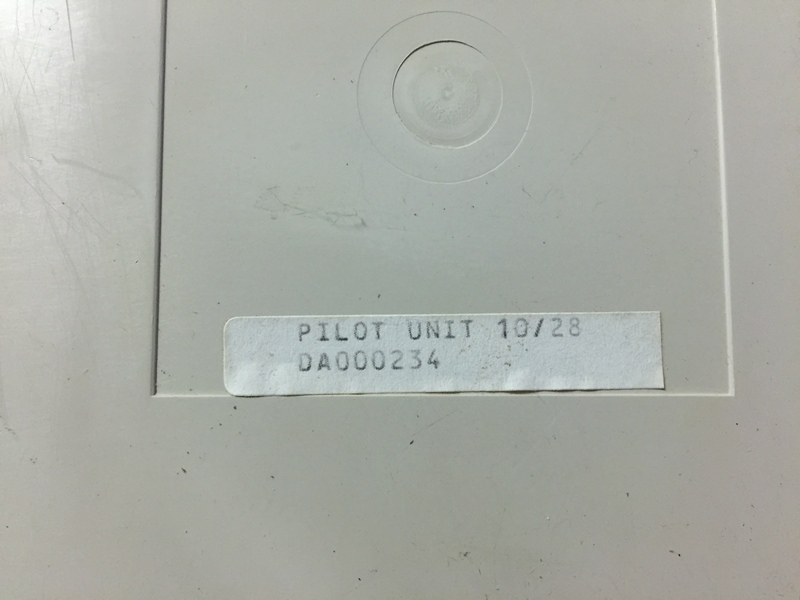 I acquired a Trendcom 100 thermal printer some time ago—the Atari 822 is a rebadging of this printer. 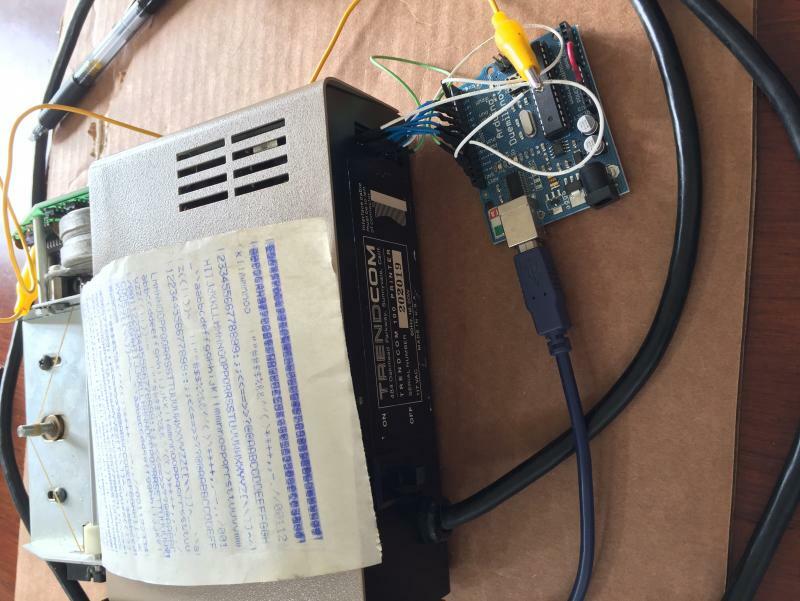 In a previous post, I mentioned the non-standard 20 pin parallel port connector on the Trendcom, and I was finally able to map it out. I have 8 data pins, the strobe, and the busy pin, but the printer doesn't seem to have a fault pin—there are two pins that appear to be unconnected, but it's nearly impossible to see whether there are any traces going to these pins since they are covered by the connector. 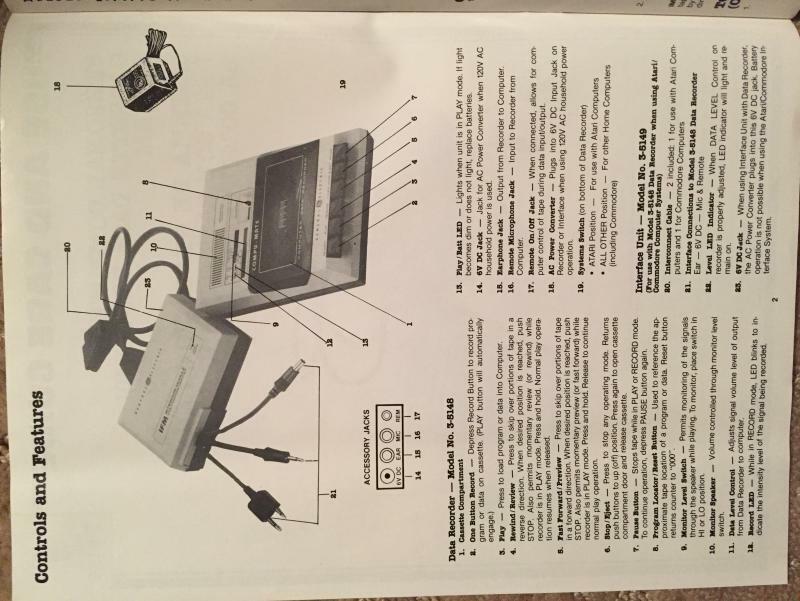 I found an article in Analog issue 2 where the author mentions the same issue with the Trendcom 100 when connecting it to an 850 interface—most of the characters are printed out twice. 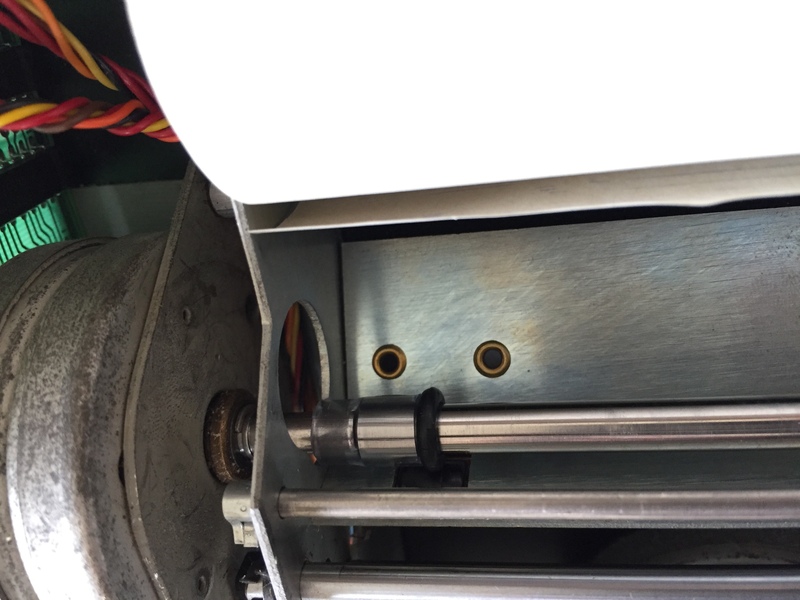 Apparently the solution was to add a .01 (microfarad, I'm assuming) ceramic capacitor to the strobe line to fix the timing. 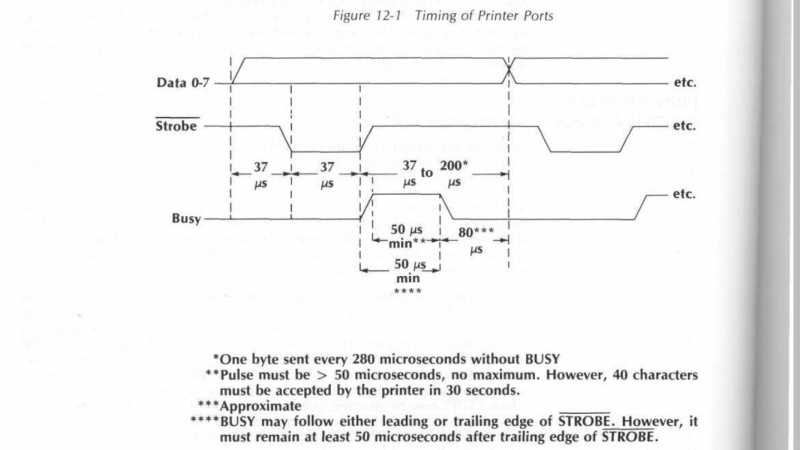 The original strobe pulse length was 37 microseconds and I was waiting 37 microseconds after putting data on the data pins to initiate the strobe. I've played around with these values a bit and can't seem to get the duplicated characters to go away. The last thing I tried was a strobe pulse length of 70 microseconds and a wait time of 500 microseconds between data stable and start of strobe pulse. Any ideas on what I might be doing wrong? It would also be great to find some documentation for this printer (or even better documentation for the 822, since I'm assuming it's mostly similar). I haven't been able to find the line feed character code for the Trendcom, so I have to manually advance the paper. I acquired one of these CIB some time ago--it looked like it had never been used. I remembered it when I recently got a Supercharger for my 2600 and decided to give it a try. To my surprise, it loaded 4 separate tapes flawlessly--usually the rubber belts/idlers in these tape players have disintegrated. 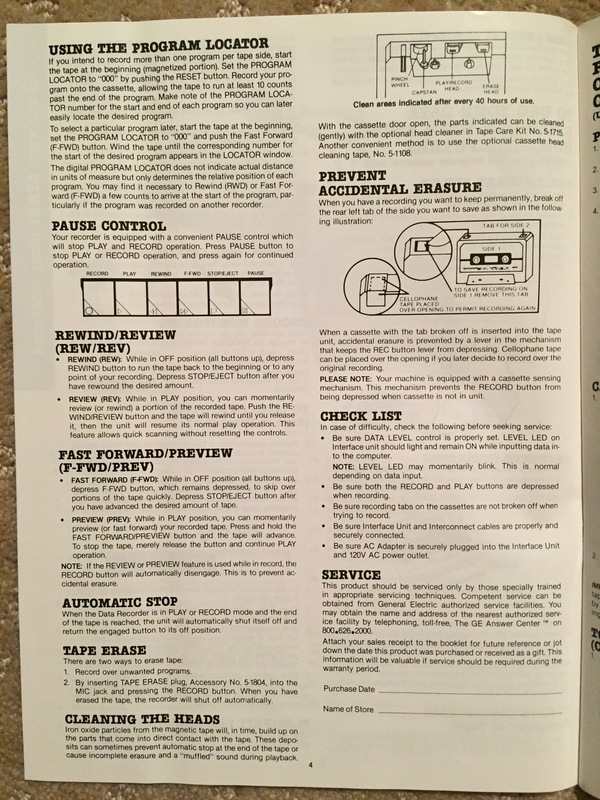 The manual says the setting of the data level control is "critical for proper loading of data into the computer," and explains how to set it when you are loading a tape. I took some quick pictures of the first three pages, which describe how to use the cassette player with Atari computers. Hope this helps! Haven't tried it on any of my Atari home computers yet but now I'm interested to see if I can get it working. 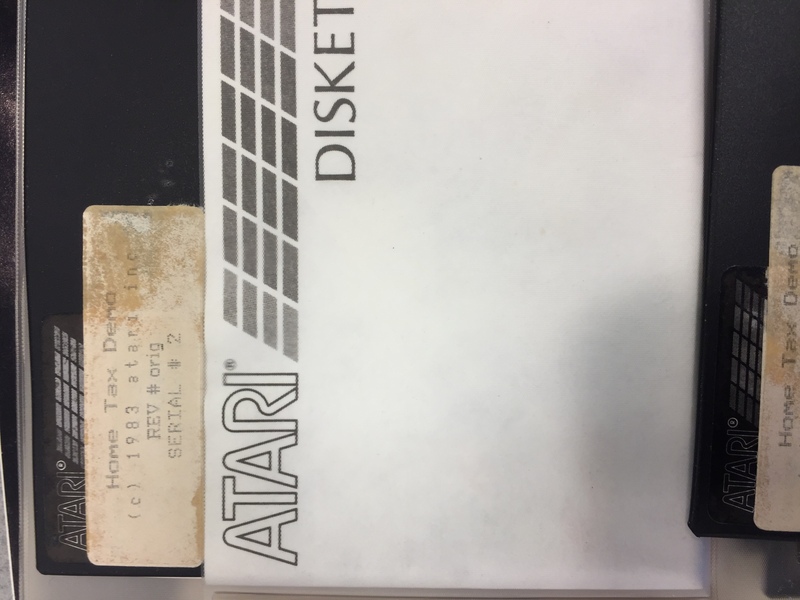 #3844566 Atari Hometax, Medit, and Forms disks—archived? Okay, I tried to copy a few of these disks tonight. I'm probably not using the best method to do this; I'm just using DOS 2.5 on an 800XL with a stock 1050 and the duplicate disk option to copy the disks to blank images on an SD card via SIO2SD. However, I am not able to run either of these disks. The Hometax Program Disk beeps for a while, then freezes on an empty screen. The Hometax Screen Disk just gives boot errors. 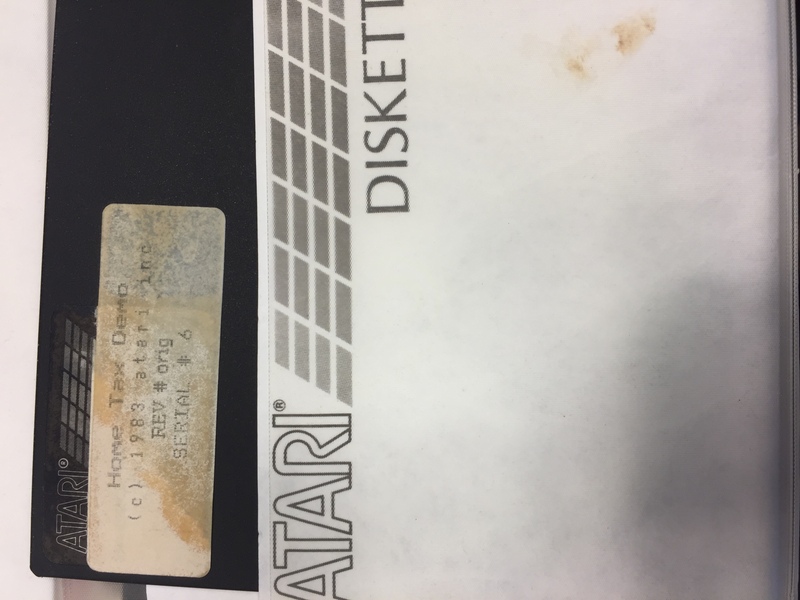 I was unable to copy the "Hometax Demo" disk. I eventually get an error 144. I did try to boot this disk directly in my 1050; it beeped for a while and eventually gave a blank screen. When the disk stopped booting, a screeching sound started coming out of the speaker that sounded like a fax machine transferring data. I did cover up the write protect notches on all of the original disks, just to make sure I didn't accidentally write over them. I also have an extra demo disk, and original copies of the program and screen disks that I haven't touched yet. Anyone have any advice for what to try next? It says "Pilot unit 10/28" and "DA000234." Definitely not a production case, there is no raised lettering by the ports. Unfortunately, I don't have any motherboards to go with them. I think there are two other case bottoms with different serial numbers, one is covered up by a B&C sticker. #3841744 Atari Hometax, Medit, and Forms disks—archived? 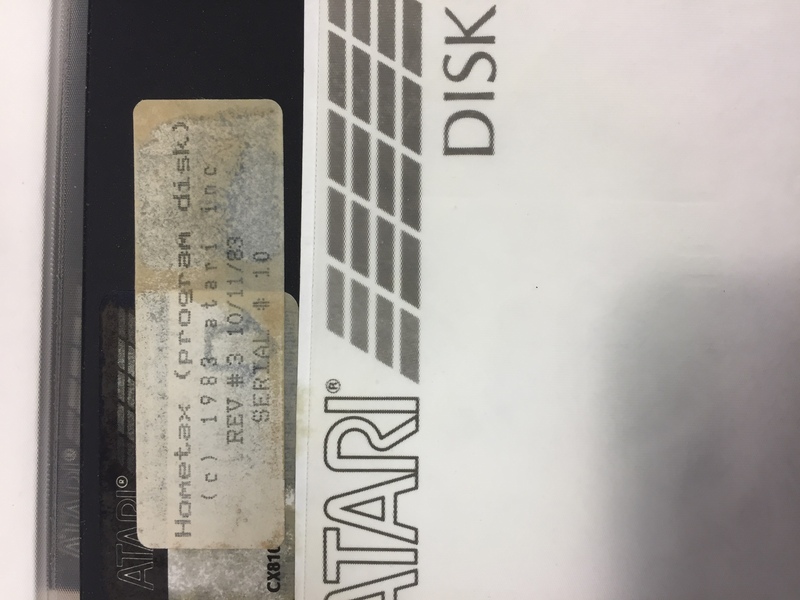 I recently acquired some Atari "Hometax" disks, along with a disk that says "Medit and Forms." Have these programs been archived? 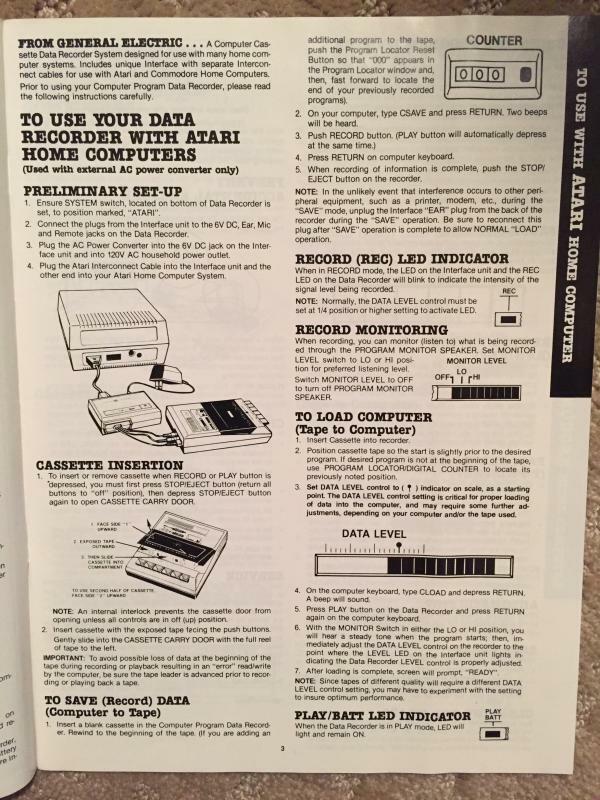 I haven't tried reading the disks yet, need to get my 1050 out.